Deltech has always made its home in Denver, and is today located in a new facility designed specifically to optimize our manufacturing processes. We have the space and equipment to build even the largest and most complex of high temperature resistance furnaces. Deltech manufactures standard and custom electric resistance lab scale and production furnaces and control systems for operating temperatures from 1400º C to 2000ºC in air, inert atmospheres (with and without vacuum assisted evacuation), and under positive pressures. We offer a special “RS” line for glass melting applications. We also maintain stock and supply related spare parts including reline kits, heating elements, thermocouples, and ceramics including hearth plates. We sell, install, and service our products domestically and internationally. Deltech has established a reputation for taking on the unique projects that others will not, and without the customary charges for the engineering time required for custom designs. The design and manufacture of electric laboratory and production scale furnaces and related control systems. All clauses are applicable to the scope of our QMS. Management is committed to maintaining and improving the QMS to continually satisfy customers by providing them with product and service that meets our specifications and their requirements and expectations. Management ensures that customer requirements are met with the intention of enhancing customer satisfaction. This commitment is demonstrated by the development and implementation of the QMS, by formulating the quality policy, and by establishing measurable objectives against which QMS performance is evaluated and acted upon to improve internal processes and the resulting products and services. Management ensures that employees understand the importance of meeting requirements, particularly those of our customers. Management also ensures that employees are aware of their contribution to the effectiveness of the QMS, the benefits of improved performance, and the implications of not conforming with the QMS requirements. Management also demonstrates a commitment to quality by conducting periodic management reviews of the QMS and its processes. Based on data driven information regarding performance and feedback from customers, and in consideration of future customer needs, Management allocates resources as necessary to ensure conformity of product, to improve the QMS, its processes, and resulting product and service, in order to promote customer satisfaction. Quality begins with customer expectations and ends with customer satisfaction. We achieve quality and compliance to all requirements by involving our employees, customers, and external providers in a process of continual improvement. Management reviews the above policy periodically during management review to ensure its continuing suitability, ensuring that it remains appropriate for the company, that it includes a commitment to comply with requirements and to continually improve the QMS, and that it provides a foundation for measurable objectives against which performance can be evaluated. Management also ensures that all employees understand the policy, how it applies in their work, and how their performance relates to the achievement of quality policy objectives. The quality policy is also available to relevant interested parties as deemed appropriate by Management. Management has established measurable objectives for QMS performance that are derived from the policy. Such objectives serve as a foundation for reviewing performance at both the process and system level. The quality objectives take into account applicable requirements that are relevant to conformity of products and services and the enhancement of customer satisfaction. The Metrics worksheet in the QMS Planning Tool is used to identify and plan quality objectives and process measurements. Key objectives and measurements are addressed during management review meetings, along with an indication of a timeframe for their achievement, and are used to implement the quality policy. Along with planning the quality objectives, Management has determined plans on how to achieve them. Such planning includes what will be done, what resources will be required, who will be responsible, when it will be completed and how the results will be evaluated. As necessary, quality objectives and the goals to achieve them are updated as appropriate. The quality objectives are communicated through posting the metrics in the facility, and/or are reviewed during meetings. Deltech’s QMS, like the documentation describing it, is structured around the processes affecting the quality of products and services offered. The QMS has been developed and implemented to promote quality and improvement, and is managed to meet the requirements of ISO 9001, customer requirements, and all applicable regulatory and statutory requirements. Support processes are those necessary for the successful operation and control of the primary processes and the QMS as a whole. These operate in parallel with primary process, and thus are not sequential: Documented Information, Training and Competence, Calibration, Internal Audits, Nonconformity and Corrective Action, and Leadership and Management. Overviews of all QMS processes appear in section 5 of this manual. Outsourced production for machined or assembled components or finishing services, etc., are controlled in accordance with the Production and Purchasing procedures, the results of which are verified in accordance with the Production and Receiving and Shipping procedures. Outsourced calibration services are controlled in accordance with the Calibration and Purchasing procedures, the results of which are verified in accordance with the Calibration procedure. Outsourced internal audits when used are controlled in accordance with the Internal Audits and Purchasing procedures and the results are verified in accordance with the Internal Audis procedure. Management had determined the extent necessary maintain documented information to support the operation of Deltech’s processes and to retain documented information to have confidence that the processes are being carried outs as planned. To support the operation of our processes, a documented procedure has been established, implemented, and maintained for each QMS process, regardless of whether it is a primary or a support process. Each procedure identifies the inputs to and outputs of the process, and describes how those inputs are transformed into their respective outputs under controlled conditions. Each procedure also identifies responsibilities and authorities of personnel performing the process, as well as those responsible for measuring or monitoring process performance against established objectives, and for reacting appropriately to ensure the quality of the product and to promote improvement. Retained process outputs (records of completed activities) demonstrate the processes are achieving their intended results. Management ensures that roles, responsibilities, and authorities are defined and communicated to all employees. Management is ultimately responsible for the quality of Deltech’s processes, products, and services and. Roles, responsibilities, and authorities for QMS activities are defined in Job Descriptions (see the Training and Competence procedure) and process operating procedures. The President and Mechanical Engineer share the responsibilities of the Management Representative. As such, they are responsible for ensuring that the QMS conforms to the requirements of ISO 9001, ensuring that the processes are delivering their intended outputs, for reporting/reviewing performance information and improvement opportunities during management review, for promoting awareness of customer focus throughout the company, and for ensuring the integrity of the QMS is maintained when changes to the QMS are planned and implemented. Though responsibilities and authorities ultimately reside with Management, they are delegated to competent personnel as necessary. All personnel who perform, manage, and/or verify work are responsible for the quality of products and services provided. All employees are responsible for complying with documented procedures and the direction of Management. All employees are authorized to identify and record problems relating to products, processes, and the quality system as a whole, and to provide suggestions for improvement or recommendations for solving problems by initiating actions according to the Nonconformity and Corrective Action procedure. All employees are also responsible for cooperating fully with internal audits. Production and service personnel are responsible for ensuring control over their activities and to complete work in a responsible and safe manner. 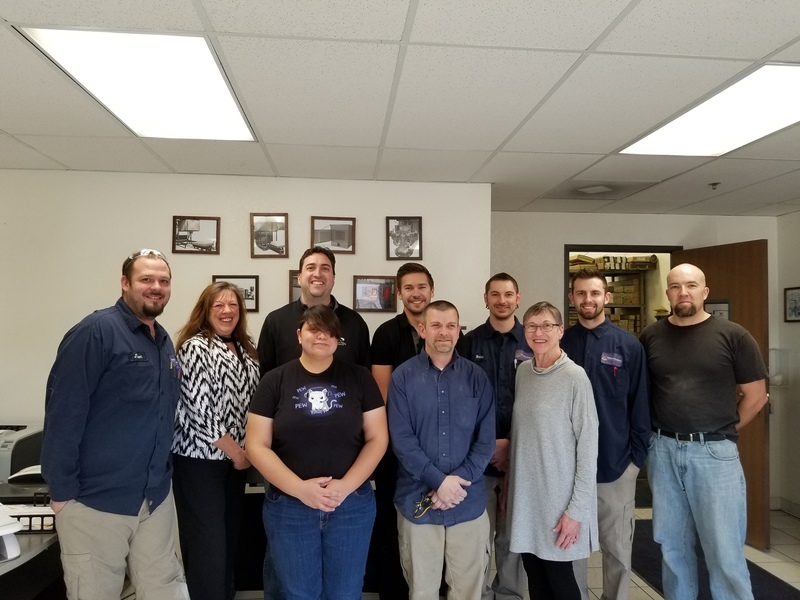 All employees are responsible for maintaining the premises in a state of order, cleanliness, and repair consistent with product and processing needs. They are also responsible for identifying nonconforming product, stopping builds as necessary, and controlling further processing until Management has been promptly notified and the problem has been corrected. Management ensures that QMS planning occurs and is carried out in order to meet the requirements of our customers as well as our own internal requirements. QMS planning occurs at two levels: the process level and the system level. Planning at the process level focuses on order fulfillment to ensure designed furnaces are produced to ensure conformity of the system to applicable requirements of internal specifications, customer requirements, statutory and regulatory requirements, and acceptance criteria. This planning is to establish processes and documentation specific to the product, and to identify product-specific resource requirements. This level of planning results in accepted orders supported by New Furnace Specification Sheets, drawings, etc., which identify required verifications to ensure conformity of the product, records demonstrating conformity, and methods for reacting when planned arrangements are not achieved. Planning at the system level involves establishing the QMS processes and infrastructure necessary to meet general requirements of customers, focusing on the ability of the system to effectively and efficiently meet all requirements. This planning is conducted with a multidisciplinary approach, and takes into consideration facility and equipment plans, plant layout to optimize project build flow, handling, and value-added use of floor space. This planning results in system-level processes and procedures that represent the planned arrangements described by QMS documentation. reviewing the manufacturing operations to determine necessary process validations. Risked-based thinking is applied to the QMS through the consideration of the internal and external issues and the requirements of relevant interested parties. The Risk Management Report identifies typical risks requiring mitigation to give assurance that the QMS can achieve its intended results, to prevent or reduce undesired effects, and achieve improvement. Risk-based thinking is also applied to opportunities and the planning to implement them if deemed of value to Deltech. See the Leadership and Management procedure, and primary process procedures for on-going risk management. The above system level planning has already been implemented and the resulting arrangements are currently adequate to meet the requirements of our customers and demonstrate the QMS is operating as planned. In general, the quality plan for processing customers’ orders is to process them in a manner consistent with the existing arrangements described by QMS procedures. Where requested orders, products or projects containing significantly new or modified requirements are to be pursued, Management will ensure that quality planning is conducted, and that such planning is implemented and appropriately documented before promising to supply new or significantly modified products. See the Leadership and Management procedure. Where changes to the QMS are planned, due to changes in technology or in the market, changes caused by suppliers, changes to processes, procedures, or product requirements, introduction of new processes or products, etc., Management will ensure that the integrity of the QMS is maintained to ensure conformity of product and services to requirements. The full impact of such changes will be determined, as appropriate. Any such changes will be verified and validated to ensure conformity to internal specifications and customer requirements before implementation. Such QMS planning and change Management is conducted during management review, or more frequently as circumstances dictate. See the Leadership and Management procedure. Management ensures that resource requirements are determined and met to effectively operate and control QMS processes, to maintain and improve the QMS, and to achieve customer satisfaction by meeting their requirements. Resource requirements comprise human resources (including personnel and training needs), infrastructure resources (including the building, workspaces, equipment for product builds, operating supplies, measuring equipment, documentation, and supporting services and utilities), and work environment resources (including safety, ergonomic and human/physical aspects of work being performed). Resource needs may be identified within any QMS process, or they may arise from management reviews, corrective actions, internal audits, employee observations, etc. Resource needs are fulfilled according to the Purchasing procedure, and hired or subcontracted personnel are trained for competency per the Training and Competence procedure. Monitoring and measurement methods to evaluate performance against established objectives have been identified, where suitable and applicable, to improve performance. Management review meeting minutes and/or the Metrics worksheet in the QMS Planning Tool describe each objective, the monitoring and/or measurement(s) applied, and the frequency of measurement analysis. The Leadership and Management procedure provides details regarding responsibilities and authorities for reviewing the resulting performance information, for analyzing it, for reacting appropriately, and for reporting QMS performance to employees. At the process level, attention is focused on ensuring conformity of the product to requirements, and to assure the effectiveness and efficiency of primary processes. Suitable verification and/or measurements are applied to the computer solutions to ensure that product conformity has been demonstrated before releasing it to subsequent processing or to the customer. Requirements to perform such verifications appear in procedures where they naturally occur at the appropriate stages in processing. Evidence of conformity with acceptance criteria is retained and these records indicate the person(s) authorizing release. This verification or measurement is not only an indication of product conformity, but also an indication of the effectiveness of the process to produce planned results. Controls relating to nonconforming outputs appear in procedures where nonconforming output is encountered. Suitable monitoring and/or measurement is/are also applied to each process itself, where applicable. At a minimum, each QMS process is monitored by internal audits, corrective action, and management review meetings. Management determines further monitoring and measurement that is suitable and applicable for process effectiveness and/or efficiency. Monitoring or measurement indicators will be identified in the Metrics worksheet and management review meeting minutes and will be reported, evaluated, analyzed, and acted upon accordingly. At the system level, attention is focused on general performance—performance of the system of processes in aggregate. Suitable measurements are applied to the QMS as a whole to evaluate its performance against the quality policy objectives established in management review meeting minutes. Internal and external measurements are applied, where feasible. For example, objectives derived from the quality policy have been established for customer satisfaction (see below). Appropriate system level information is analyzed and acted upon periodically as required by the management review process, and more frequently as circumstances demand. Results of system level review appear in meeting minutes. As one measure of QMS performance, customer satisfaction is perhaps the most important. Accordingly, information regarding our customers’ perception of our performance is determined via various indicators and/or soliciting data according to the Sales process. Unsolicited feedback, including complaints and product returns or field failures, is also received, reviewed, and acted upon according to the Sales procedure using the Nonconformity and Corrective Action procedure. Through use of the quality policy, process and system level quality objectives and performance information, audit results, external provider performance analysis, corrective action and management review, Deltech will continually improve QMS effectiveness and efficiency. See the Leadership and Management procedure. Improvement is achieved anytime an increased ability to fulfill requirements is demonstrated by measurable results or quantifiable benefits (or estimates thereof). When opportunities for improvement present themselves by whatever means, Management takes advantage of these opportunities. Improvement efforts are recorded on the Action Item Matrix in the QMS Planning Tool, and some improvements are processed simultaneously with associated corrective actions, according to the Nonconformity and Corrective Action procedure. Improvement efforts may also be initiated and tracked according to the Leadership and Management procedure, or during other planning activities. Generally, the objective of the Sales process is to pursue business opportunities and provide furnaces that will satisfy customers. 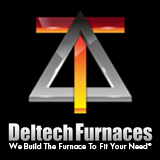 Inputs include Deltech’s furnace designs that may be customized to meet customer requirements. Customer requirements are reviewed to ensure they are clear and complete, and that Deltech has the ability to meet them prior to their acceptance. Applicable statutory and regulatory requirements are also reviewed to ensure compliance can be achieved. Sales activities transform the above inputs into their respective outputs: approved quotations and order confirmations. Before their approval or acceptance, the customer’s requirements for the product and its timely delivery are verified to be clear and complete, including any requirements that might not have been stated by the customer but are necessary for the proper or safe functioning of the product. Sales personnel verify the ability to meet such requirements before orders are accepted and supply is promised. Based on accepted orders and current capacity, the process triggers the initiation of Design and/or Production process activities. Another output from Sales is purchasing information relating to infrastructure/resources needed to meet orders’ requirements. Any relevant statutory or regulatory requirements or special customer requirements relating to handling, preservation, packaging, delivery, and post-delivery support, are also identified and recorded. The Sales procedure also contains provisions for handling inquiries, for reviewing received orders against any previously agreed requirements or quotations, as well as for reacting to change orders from customers and questions regarding order status. The objective of the Design process is to design and develop kilns and furnaces that meet customer specifications and needs. More specifically, the objective of the Design process is to identify design inputs, develop design outputs used by Purchasing and Production to build the product, perform design reviews to verify and validate the design outputs and ensure a successful product is delivered. Another objective is to control changes to the project and to the actual design configuration. See the Design procedure. Design projects are controlled using the Design Project Template as a guide to ensure a thorough assessment of requirements and results. The template ensures the project is planned, including the identification of milestone deliverables and appropriate reviews. Design inputs, reviews, necessary changes to the design project, and the design outputs are documented and appropriately approved. The Design process ensures that customer, regulatory and statutory requirements are captured as inputs before engineering activities commence. Inputs may also include information derived from previous similar designs. Inputs are reviewed prior to approving the customer’s purchase order to verify all inputs are identified and to ensure that requirements are complete, unambiguous, and not in conflict with each other. Verification of the designed system is performed during production builds and testing in the Production process and validation is completed through customer acceptance. Outputs from the Design process include the New Furnace Specification Sheet, drawings, wiring diagrams, etc. necessary for Purchasing and Production activities, records of completed reviews and records of design changes. Generally, the objective of the Purchasing process is to procure items and services needed to build of quality products. More specifically, the objective of the Purchasing process is to ensure that purchasing information describes needed products and services in requisite detail, approved orders are submitted to reliable external providers, and that purchased product is verified to conform to requirements (including customer and/or any regulatory requirements). Inputs to the Purchasing process include purchasing needs arising in connection with customers’ Purchase Orders, purchasing requirements related to maintaining adequate inventory levels, and equipment needed to build product, as well as those arising from any QMS process, including management review, where resource needs are identified at both the process and system level. See the Purchasing procedure. Potential external providers (partners, suppliers, vendors, distributors, etc.,) may also be viewed as an input to the Purchasing process. External providers are evaluated and selected as necessary according to their ability to meet purchasing requirements, and their impact on processing activities and the quality of finished product. Records of external provider approval status appear in the current accounting system; external provider performance is reviewed during management review. Records of external provider and resulting actions are kept accordingly and are reflected in the status of suppliers in the current accounting system. External provider performance is monitored via records of supplier incidents. Such records include problems associated with quality, and delivery. The Purchasing process transforms identified purchasing needs into approved Purchase Orders which appropriately describe the needed products or services. This information also includes requirements for approval or acceptance of the product, as well as any required verification on the suppliers’ premises, or any requirements for the suppliers’ QMS, personnel, procedures, processes or equipment (which are not common). Approved purchasing documents are submitted to reliable suppliers. Received items are verified against the purchasing documentation. See the Receiving and Shipping procedure. Outsourced special processes or the purchase of products manufactured with special processing (those with outputs that cannot be fully verified internally) are subcontracted to approved suppliers. Requirements for suppliers to provide process validation or provide certifications of conformance are contained within the Purchasing procedure. Product resulting from outsourced production or processing is received and verified before being released for use. (See the Receiving and Shipping procedure.) Verification includes confirmation that supplied certificates demonstrate conformity to specified purchasing requirements. Suppliers providing outsourced special process services are verified for continued conformance to ISO 9001 7.5.1 f) Validation of processes during the management review. See the Purchasing and Leadership and Management procedures. The objective of the Receiving process is to verify incoming products against any applicable requirements, which are contained or referenced by the products’ accompanying documentation and/or by the associated open Purchase Orders. The objective of managing inventory is to store and protect materials, goods and products pending their use. The objective of the Shipping process is to deliver product passing inspection and testing to the customer and to prevent damage during transport. The Receiving and Shipping procedure describes methods for identifying product with respect to its status (and traceability, where required). Such methods include reference to the products’ part number, lot number, accompanying documentation, its physical appearance, etc. The procedure addresses the treatment and use of customer property, as well as preservation methods used during handling, and storage to ensure continuing conformity of product. Incoming items are verified to conform to applicable purchasing requirements. Received product is verified through review against their associated packing lists and Purchase Orders. Incoming product may also be customer property (returned product or customer-supplied components) or external provider property (items that are supplied by external providers for use – loaned or rented). Customer and external provider property is appropriately identified and handled to prevent damage or loss. The customer or external provider as appropriate is notified and corrective action is taken should the customer’s or external provider’s property become lost or damaged. Only products passing receiving verification are accepted, barring authorized concessions or dispositions. Conforming product is stored appropriately in inventory while awaiting use. Nonconforming product is properly identified, evaluated, and dispositioned according to the Receiving and Shipping procedure. Evidence of external provider performance (e.g., quality and delivery performance) is fed back to Purchasing personnel using records generated during receiving verification and recorded information in the External Provider Incident Log worksheet in the Quality Log. Only product released for delivery or shipping after final verification (evidenced by the acceptance noted on the New Furnace Spec Sheet is packaged and shipped to customers. Product is adequately crated or packaged to preserve conformance to requirements and to prevent damage or deterioration during transport. Generally, the objective of the Production process is to build quality systems (i.e., those meeting applicable requirements) in a timely manner. More specifically, the objective of the Production process is to perform realization activities in a controlled manner to ensure that the resulting product is effective in meeting requirements. Another objective of the Production process is to produce quality products as efficiently as possible. Inputs to the Production process include approved Design documents such as New Furnace Specification Sheets, drawings, wire diagrams, etc., which specify product requirements. Travelers and Work Orders identify the product and quantity to build. Outputs include delivered product that meets all customer requirements and regulatory requirements, and completed production records (e.g., completed testing and inspection records). The Production procedure describes methods for identifying product with respect to its inspection status and traceability (where required). Methods used include reference to the products’ identification, its physical appearance, its location, tags indicating reject, etc. The Production procedure also addresses the treatment and use of customer and external provider property, as well as preservation methods used during handling, inspection, and storage to ensure continuing conformity of product. Scheduling is used to plan and track orders. Design documents used during production contain verification or inspection requirements and acceptance criteria associated with the product. Verifications demonstrating conformity of product occur at appropriate points during processing. Competent personnel carry out production activities using suitable equipment and according to work instructions to which they have been trained. Product is not released to customers until testing is complete and recorded. Outputs of the Production process include finished product that meets the acceptance criteria, as-built drawings identifying the action configuration. Nonconforming product is properly identified, documented on the Nonconforming Product Log worksheet in the Quality Log evaluated and dispositioned according to the nonconforming product routine described in the procedure. Nonconforming product may be scrapped, reworked, or used-as-is. (Any reworked product is re-verified against the criteria against which it originally failed.) Records of nonconforming product and its disposition are retained. Repair maintenance and preventive maintenance of equipment used to manufacture product is performed as necessary in accordance with the Production procedure. Deltech has no internal production processes where the resulting output cannot be verified by subsequent monitoring or measurement and, as a consequence, deficiencies become apparent only after the product is in use or the service has been delivered. Post-delivery activities may include on-site repairs. This process is not formally documented. Training supports all QMS processes (both primary and support). As a support process, the objective of training is to ensure that competent personnel perform tasks in QMS processes. The Training and Competence process ensures that competency requirements are identified and that personnel are evaluated and selected based upon the appropriate education, skills, experience, and training required for each position affecting the performance and effectiveness of the QMS. Training is provided as needed, the effectiveness of which is evaluated to verify competence before assigning work. A training record exists for each employee to demonstrate that employee’s competence to perform assigned work. Training records also identify where further training needs have been identified for employees, as applicable. See the Training and Competence procedure. The Documented Information process supports all QMS processes. The objective of document control is to ensure that legible, approved documentation is available to employees when and where it is needed in order to perform process activities correctly. The procedure describes how such documentation is initially approved and how it is re-approved after being updated, and how the most current version of any QMS documentation is determined. The procedure also describes treatment of documents originating externally. Controlling documents ensures that only approved, current, controlled documentation is used, and that obsolete documentation is removed from use. The objective of retained records is to ensure that records of processing activities are retained as long as they are useful. Such records demonstrate the effective operation of the QMS and conformity to applicable requirements (including any specified by customers and/or by regulatory agencies). Management establishes retention periods. Records control ensures that quality records are appropriately stored so to be protected from loss, damage, and deterioration, that they are readily identifiable and retrievable when they are needed. Records are also disposed of properly once their usefulness has expired. The Record Retention Matrix identifies the types of records generated as process outputs, their storage and protection, their retrieval or filing method, their retention periods, and their method of disposal. Where customers specify retention requirements, associated records are retained accordingly. The Documented Information procedure also identifies methods for protecting electronic data, documents and records from unauthorized access and changes. The Calibration process primarily supports the Production, and Receiving and Shipping processes. The objective of Calibration is to ensure that suitable, accurate monitoring or measuring equipment is used where required. The Calibration process ensures that measuring equipment is selected and used in a manner consistent with monitoring or measuring requirements, and that such equipment is calibrated or verified periodically (or before use) to ensure their continuing fitness for use, in order to impart confidence that the instruments are suitable in their precision and that the resulting measurements are accurate. See the Calibration procedure. The Calibration procedure ensures that calibration results bear traceability to international or national standards. The procedure also ensures that such equipment is appropriately identified, handled, stored, and safeguarded to prevent damage and deterioration. Calibrations and verifications are conducted according to the calibration instructions and records which indicate when calibrations and verifications are due, while results and historical performance data are recorded in each instrument’s calibration record. Should any monitoring or measurement software be introduced to the QMS, it will be treated as a calibrated or verified instrument and will be confirmed and reconfirmed as necessary to ensure its continuing suitability. When equipment is found to be out of calibration, the Mechanical Engineer will investigate the impact of the potentially errant measurements on product previously measured with the equipment to ensure that the impact is known, that it is corrected or otherwise resolved, and that all affected parties are notified, as appropriate. Unsuitable equipment is withdrawn from use, or their use is limited to be appropriate for the measurements being carried out. As a support process, the objective of the Nonconformity and Corrective Action process is to identify and correct process nonconformities, to identify systemic or process-related problems or undesirable trends, to determine the cause(s) of nonconformities, and to act to address those causes so that they do not recur or occur elsewhere. Requests and needs for corrective action are processed using various methods depending on the process identifying the need. Once closed, completed records provide evidence of actions taken and verification of their effectiveness. Corrective actions are taken in response to information arising from audit results, customer feedback or complaints, external provider performance data, performance information regarding product or service nonconformity, process monitoring and measurement results, etc. Actions also arise in connection with improvement efforts associated with any QMS process or source of information. According to the Nonconformity and Corrective Action procedure, the following steps are taken for each corrective action initiated: the problem is reviewed and its root cause(s) determined using appropriate problem-solving methods; possible actions to eliminate its root cause to prevent its recurrence are evaluated and an appropriate action is selected and implemented; records of the completed action are maintained; the effectiveness of the action taken is verified. Whenever a corrective action is taken, consideration is given to applying the action to other similar circumstances or areas in order to ensure the problem does not arise in those other areas, wherever possible. Should corrective actions prove ineffective; alternative solutions will be evaluated and applied until the issue is resolved. Internal Audits support all QMS processes. As a support process, the objective of Internal Audits is to monitor processing activities at planned intervals to ensure their effective implementation and upkeep, and to ensure that they comply with the planned arrangements described by QMS documentation, as well as to confirm their continuing compliance with the requirements of ISO 9001. See the Internal Audits procedure. Internal Audits verify that working practice is conducted in accordance with the quality policy, procedures, and provisions in this manual, ensuring that issues regarding compliance are resolved appropriately. All QMS processes are audited internally by either internal resources or contract auditors. Internal Audits are scheduled according to the importance of the process being audited, changes affecting Deltech, and the results of previous audits. Audits are conducted by trained, impartial Auditors, according to the schedule, instructions, scope, criteria, and any specific methods appearing on Internal Audit Reports. Where working practice fails to conform to planned arrangements, or when problems or opportunities for improvement are discovered, auditors generate findings, which are recorded in the audit report. Upon completion of an audit, auditors summarize their findings and conclusions on the associated Internal Audit Report form and submit the report and findings to Management. Corrective action arising from audits will be processed according to the Nonconformity and Corrective Action procedure to ensure that effective action is taken in a timely manner. Internal audits are conducted, reported and the results acted upon according to the Internal Audits, Nonconformity and Corrective Action and Leadership and Management procedures. The Leadership and Management procedure describes Management’s responsibilities for overseeing the effectiveness of the QMS, including planning and performance evaluation. The procedure describes how performance data from various sources is analyzed and acted upon, including information relating to customer satisfaction, quality (i.e. conformance to requirements), to process or product performance trends suggesting need for improvement action, and supplier performance. These measurements are analyzed and acted upon to improve performance. The procedure also describes periodic consideration of applying further statistical techniques to control process variability, to control product characteristics, or to further analyze performance data. See the Leadership and Management procedure. Inputs to management review meetings include audit results, customer feedback, information regarding corrective actions and actions decided during previous Management reviews, supplier performance information, internal performance information regarding product conformity and process monitoring and measurement, any identified improvement opportunities, and any identified internal or external changes that could impact the QMS. See the Management Review Meeting Minutes form. Management periodically reviews the QMS as a whole to determine its effectiveness in meeting objectives and applicable requirements, including those of our customers and those of ISO 9001. This review also includes evaluation of the cost of poor quality whether detected internally or by customers. Management also determines whether the QMS, the quality policy and quality objectives are still suitable and adequate for the company, according to the management review Meeting Minutes, which when complete, stands as the record of review. Where actions are required based on information from whatever source, corrective actions are initiated, as appropriate, and are processed according to the Nonconformity and Corrective Action procedure. Once performance levels are analyzed and QMS effectiveness has been determined, performance information is communicated to employees, so they understand how their performance affects the achievement of established objectives. Such communication occurs through verbal reporting during meetings or on an individual basis. Performance results may also be posted in a conspicuous location.